Parliament – President Jacob Zuma has told government it must find ways to stop the killing of policemen and measures to this effect would be put in place urgently, Police Minister Nathi Nhleko told Parliament in the wake of the Dobsonville shooting of two officers. “The President has directed we shall investigate all possible ways of defeating this scourge,” Nhleko told the National Assembly. He said there was one member of the SA Police Service for every 360 people in the country, meaning that the loss of a single one left a large gap that took a long time to fill. The slain members were “not easily replaceable” given the time it took to train a policeman. “The President has directed that a plan be developed and implemented immediately to stem the killings. We have taken heed of this instruction and have put in place measures under the auspices of the police safety strategy. 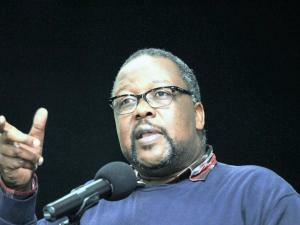 This plan, the National Technical Response Plan, needs to be immediately implemented,” Nhleko added. He said it would include on site probes by the police of the sites where their colleagues have been killed to study the circumstances that led to their death. It would also insure that standing orders regarding safety were rigorously implemented. On Wednesday, two police officers were killed in the Dobsonville area of Soweto. One officer died on the scene and another in hospital later after suspects fired at them following a car chase.